Now that it is almost Thanksgiving, consider doing your early holiday shopping at the Wayland Depot. 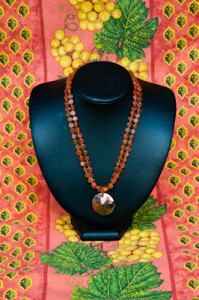 We have many wonderful jewelry items for people on your list. In this photo is a necklace and pendant by Wayland artisan Janet Vitagliano. This is one example of the many handcrafted pieces of jewelry at the Depot that are all unique designs! We also have pottery, scarves, greeting cards, birdhouses, baby clothing, books by local authors, and much more. Be sure to stop by soon. The Depot, located on Route 27 near the Wayland Library, is open Tuesday through Saturday, 10am-4pm. For more information go to our web site at www.thewaylanddepot.com or our Facebook page to see many of our beautiful products. 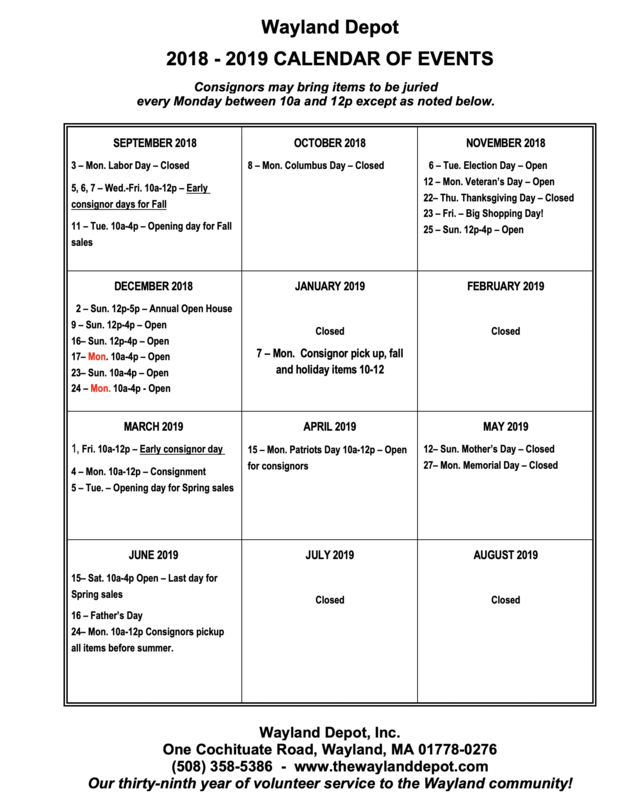 The Wayland Depot 2018-19 Calendar is available online here.